The data contained in the SDS should be treated as a means of safe handling in transport, distribution, use and storage. 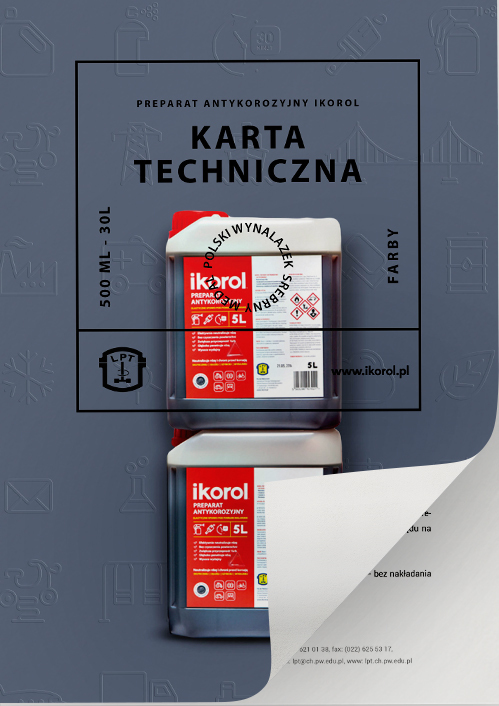 The Technical Data Sheet specifies the purpose, scope of application, performance and basic safety precautions recommended for use and transport of corrosion inhibitor ikorol. The Technical Data Sheet specifies the purpose, scope of use, performance and basic safety precautions recommended for use and transport of the corrosion inhibitor ikorol. The information contained in the Technical Data Sheet and the Material Safety Data Sheet are intended to ensure the optimum use of the product, but do not constitute a legal liability of the manufacturer, as performance is beyond its control. Any interference with the product is unacceptable and may significantly reduce the quality of the material used. The information presented above is in good faith, according to current knowledge and practical statements. 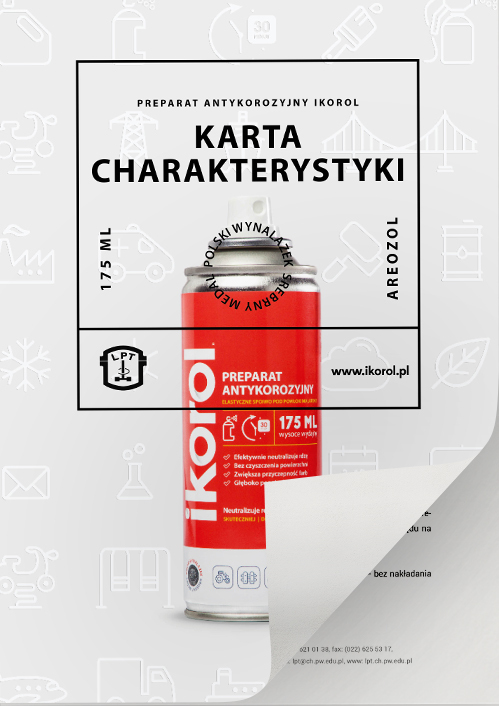 The manufacturer reserves the right to change the content in subsequent editions without prior notice to the recipient.